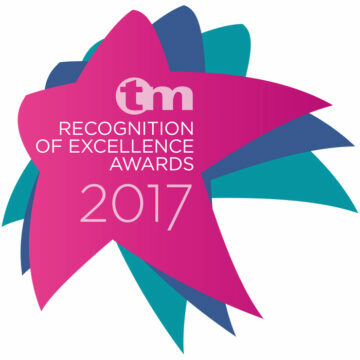 We were privileged and honoured to be the Partner Charity at Training Matters Recognition of Excellence Awards, an annual celebration and appreciation of pharmacy support staff, including counter assistants, dispensing assistants and pharmacy technicians. It was a great event to be part of, and fantastic to see some really passionate and caring individuals being rewarded for their tireless work supporting their colleagues and patients, as well raising awareness of important health issues in their communities. We’d like to take this opportunity to congratulate all the winners and runners up! Hosted by Communications International Group, the exciting event took place at a gala lunch at the stunning Dorchester Hotel on 29th June 2017. 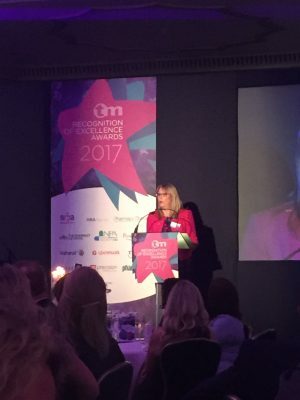 As well as being a member of the judging panel, our CEO, Ali Stunt, was also invited to speak to the 300-strong audience about pancreatic cancer. It was a great opportunity for Ali to talk about how important it is for us to work closely with pharmacies to raise awareness of the signs and symptoms of pancreatic cancer. In addition, the audience donated an incredible £3500 to Pancreatic Cancer Action in support of our work. We believe that pharmacies, pharmacists, and their support teams are key in helping us achieve this goal by identifying key symptoms by the medicines prescribed and bought over the counter. Communications International Group (CIG) is the UK’s leading provider of over-the-counter (OTC) content and communication to pharmacies. We are extremely grateful to all the team at Communications International Group for their ongoing support, including Felim O’Brien, Tim Langford, Gemma Woodall, Frankie Shortland and Lauren Timms.